Sony recently announced their new 400mm f/2.8 GM OSS lens. They are trying to beef up their lens lineup with the aim of challenging the Canon EF and Nikon Nikkor lenses. At the moment, Sony has a lead in the mirrorless camera offering but Canon and Nikon are expected to announced their full frame, mirrorless camera in about one year or less. I do not own a mirrorless camera but as I listen to some who are Sony supporters, they invariably talk about the 'superior' IQ quality of the A7 or A9 sensors and the '20 frames a second' burst rate. The implication is the former is superior to the latter. Never mind the fact it is only on paper and indistinguishable by the human ear. The fact is one can always find some aspect of a certain camera or lens that is 'superior' to another manufacturer's comparable model but when a professional and/or serious photographer invests in a certain Camera and Lens system, one is really buying into a company's overall technology (present and future), service and support system worldwide. To that end, I find Canon fits my needs quite well and I am ready to purchase their professional mirrorless camera once they are available if it fits my needs. MELVILLE, N.Y., June 25, 2018 – The average smart phone user has 630 photos stored in their phones – that’s a lot of memories captured with no place to go. Creating photo books to showcase all those memories is a great idea and thoughtful gift but the process can often feel daunting and time-consuming without the right application. Today, Canon U.S.A. Inc., a leader in digital imaging solutions, is excited to announce the launch of the new hdAlbum EZ v2.0 app, using our proprietary EAGiAL-M2 technology to automatically arrange images directly from your compatible mobile device3 to make the photo book creation process a fun hobby and creative outlet. The imaging experts at Canon have completely redesigned the hdAlbum EZ app with the v2.0 update for a virtually seamless customer experience, allowing users to navigate the mobile interface with ease and convenience. The redesigned software creates attractive layouts for the user, creating beautiful photo books using 20 to 50 of their favorite images. It can also be linked to Facebook, Instagram and Verizon Cloud accounts. Starting at $14.99, Canon photo books take less than a week (approx. 3-5 business days) for production. Canon hdAlbums are ideal gifts or keepsakes for life’s biggest moments such as graduations, family vacations, newborns, engagements, weddings and more – you can learn more about the photo books and the redesigned app by visiting the dedicated website. Canon is expected to announce a high end, full frame mirrorless camera, the EOS-90D and EOS-7D Mark III in the next 6 to 12 months. A few Canon camera bodies have shown up as the company filed registration papers with certification authorities in various countries. Canon DS126721 is registered with overseas certification bodies. This is most probably a new Rebel camera with built-in WiFi and Bluetooth. Two DSLR test cameras are code named K436 (EOS-80D Mark II or EOS-90D?) and K437 (EOS-7D Mark III?). Additional mirrorless cameras are code named K424, K433 and EC 811. All the new cameras come with the DIGIC 8 processors. K424 will be a 30MP full frame mirrorless camera and announcement is expected in late 2018 or early 2019. K333 will also be a full frame mirrorless camera but with less features and a lower price. EC 811 may be the EOS-M5 Mark II APS-C mirrorless camera. Sadly, I am not convinced the upcoming high end, Canon full frame mirrorless camera will fit my needs unless it comes with the EF mount. These are early days and there is little point in further speculation. Keep checking back for the latest information and development. As I travel to remote places, I am usually out of WiFi range and lack contact with the photography world and news but gain valuable field experiences in testing many Canon gear and equipment. The bread-n-butter model of Canon's DSLR lineup is the EOS-80D. It has been over 2 years since this camera was announced. My sources informed me the replacement model, EOS-90D will be 'a big leap forward'. This may mean a lot of things to many photographers but one thing is certain. Canon has been aware the video performance of their latest cameras may not be perceived as competitive as some Sony models, for instance. This does not bother me because my philosophy is as a still photographer, my equipment should be the best in class in one thing, and not try to be best in multiple classes. For those who prefer the best in videography, they should go for the EOS Cinema series of cameras. Nevertheless, perception is everything these days and Canon is known for a slow, methodical approach to introducing new products and features. Recently, Canon's CEO has expressed his desire to speed up the company's response to new innovations and developments. 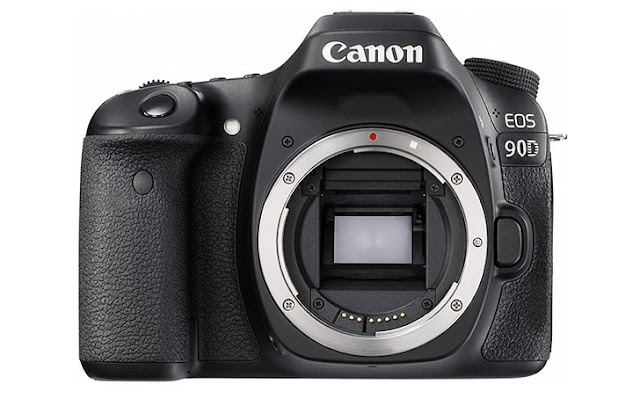 My best guess is the EOS-90D may be announced some time in early 2019, perhaps around the CES or CP+ Show. Find out what to expect from Canon in terms of product announcement in the next 12 to 18 months. Keep checking back for the latest development and information. Now that Canon has announced two new bread-and-butter lenses, the EF 70-200mm f/2.8L IS III and EF 70-200mm f/4L IS II, what can we expect from Canon in the next year or so in terms of new cameras and lenses? Hopefully the long awaited professional full frame mirrorless camera and the EOS-7D Mark III cameras will be announced some time in 2019. A prosumer mirrorless camera and one DSLR body may be announced ahead of Photokina in September 2018 in Germany. A few PowerShot models will also be announced before year end. 4K video @30fps video and DPAF. 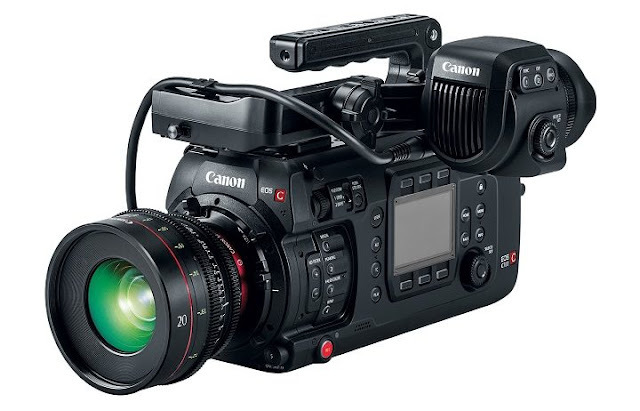 Perhaps a replacement to the very popular EOS C300 Mark II with the Mark III model. Canon management is determined to embark on an accelerated product development cycle over the next 18-24 months to coincide with the 2019 Rugby World Cup and 2020 Summer Olympics, both major world events will take place in Japan. The Canon EF 70-200mm f/4L IS II is scheduled to begin shipping in late June 2018 with an estimated retail price of $1,299.00. The Canon 70-200mm f/2.8L IS III is scheduled to begin shipping in August 2018 for an estimated retail price of $2,099.00.